Available on AMAZON, click here. Loss of skin color, depigmentation of the skin, white blotches, milky spots.... These phrases all describe a skin condition called "vitiligo." Learn more about vitiligo and its effects from a child's perspective. Those with vitiligo have experiences and emotions ranging from ostracism, embarrassment and hurt to rebuilding their self-esteem and inner beauty. 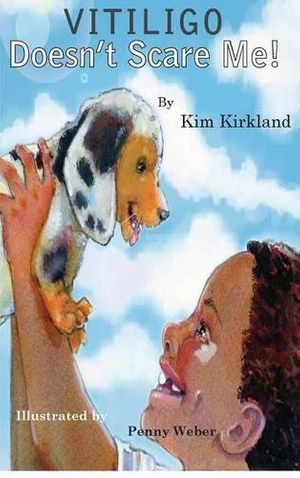 A book written by Author Kim Kirkland addressing the affects of the disease vitiligo. It informs children on how to view and understand what is happening to themselves as well as how to deal with the disease. This book is very informative to not only children stricken with vitiligo but children who also associate with children with the disease. It provides information to these children to help them understand and learn that there is nothing to fear from those with the disease. In this celebration of diversity, a young girl sees the beauty in everyone’s similarities and differences as she encounters people from all walks of life. April is excited about visiting Grammie, but she has a whole week before she can go. The week goes by quickly, however, as April runs errands with her mother. On each of these trips, April encounters someone who is different—someone who is either older, speaks another language, uses sign language, or reads braille. As April learns about their differences she also notices the things she shares with each of them. Full-color acrylics highlight people and a few objects against black-and-white backgrounds and landscapes, inviting the reader to look closely for both similarities and differences in each scene. 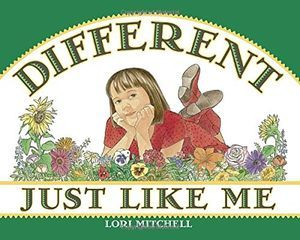 April’s exploration of a world of difference is sure to inspire every reader to appreciate the distinctive qualities in themselves and everyone around them. This James McLeod's first children's book. In it he shares his story of growing up with vitiligo, dealing with bullying and insecurity, and how he overcame both to become his own superhero! This is a perfect book for children dealing with bullying or self-doubt, or for any child, to teach lessons in kindness and bravery. My lips are white. Sixteen-year-old Sep stares into the bathroom mirror on the first day of school. It’s not some weird lipstick (she never wears lipstick), she didn’t bump her lips or chew on ice. Her lips are just–white. In a panic, she digs up an old lipstick and smears it on her colorless lips. But soon, more and more white spots begin to bloom, spreading their chalky tendrils across her olive brown skin. Does she have a disease? Is she turning into some kind of freak? Sep is usually the one who knows all the answers. With a quicksilver mind and a supple body, she’s happiest when she’s delving into the mysteries of animal biology or giving herself over to sweet, hot moves in Jazz Dance Club. Unlike her best friend, Devon, she’s never been in a rush to get a boyfriend. But as the white blotches spread, her dating days–like the endangered species she studies–seem numbered. So when Josh, a boy she’s always liked, makes a flirty advance, she wonders: why not grab pleasure while she can? Frank, funny, and full of passion, this compelling novel tells the empowering story of a strong, gifted teen who, as her life spins out of control, desperately tries to prove to the world–and herself–that she is deeper than skin. Having something unnatural about one's skin is devastating. 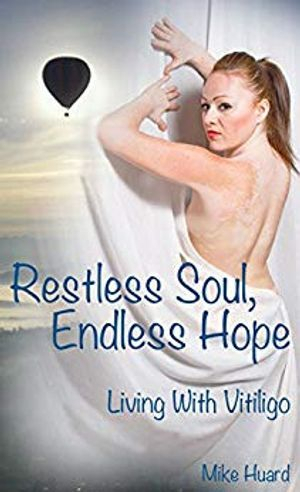 Sixteen Restless Souls, from all over the world, still with Endless Hope, tell their true stories on how it feels to live with such a skin disorder. 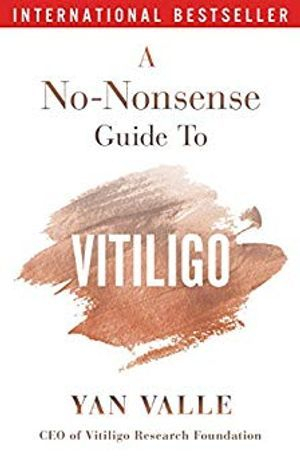 The author explains what Vitiligo is and how it affects lives. He also takes one on a spiritual journey looking at life from the inside out. Subjects such as love, loyalty, wisdom, and hope, teach us all that we are much more than just our skin.